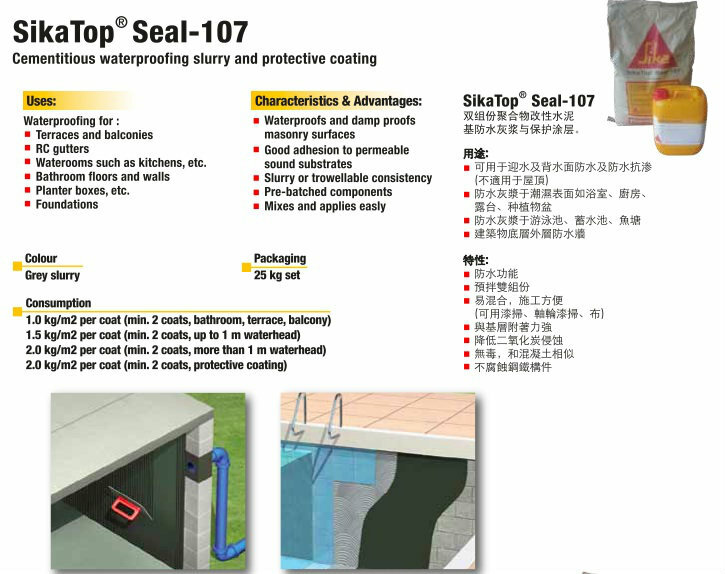 SikaTop® Seal-107 is a two part polymer modified cementitious waterproof mortar slurry comprising of a liquid polymer and a cement based mix incorporating special admixtures. It is applied to concrete and mortar to prevent water infiltration.  Rigid waterproofing of water tanks, swimming pools, etc.